Don’t you hate it when you press the button on the remote of the car and it does not respond. This is a known issue with Opel/Vauxhall car keys. It can be fixed quite easy. Inside the keys of an Opel car there is a structural problem. There is too much mechanical stress on the battery holder. Here is how this specific key model looks like. This article describes how to fix the battery holder which is loose. You can also have buttons which do not work and it is also possible to change the housing and keep the guts of the device. Let’s see what is happening inside. Watch out when opening the key. 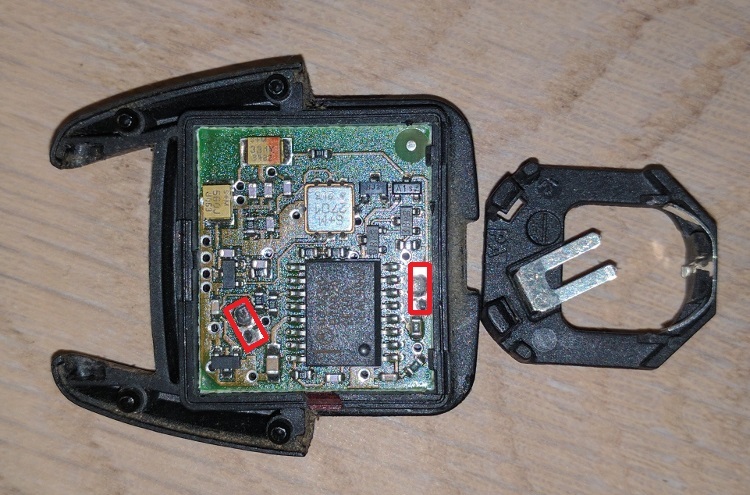 There is a NXP transponder thingy inside which can fall out easily. It is marked in red below. 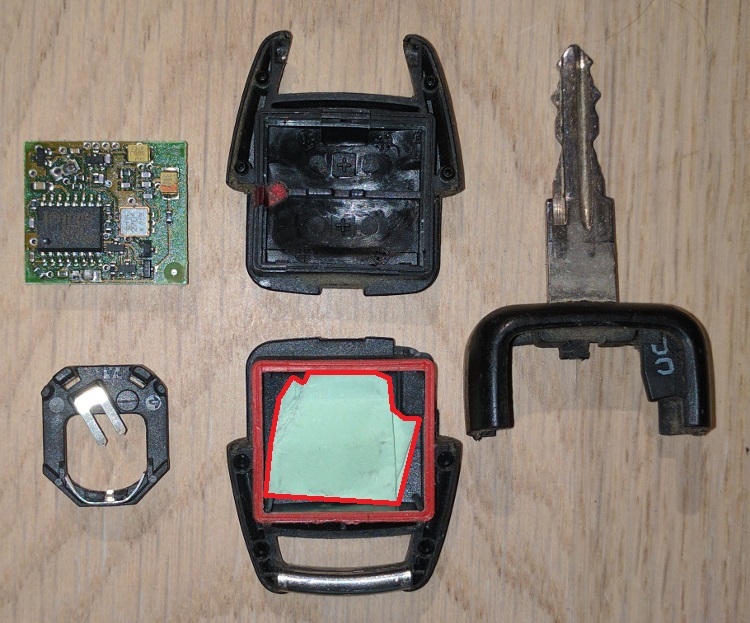 Without this chip you can buy a new key, the immobilizer does not respond to a key without transponder thingy. The owner of the key tried to fix the problem, but that is not a permanent solution. It is a piece of paper which is also marked red. On the PCB the red marked areas are the spots where the battery holder should be soldered on to. The following picture is taken from the side of the PCB. 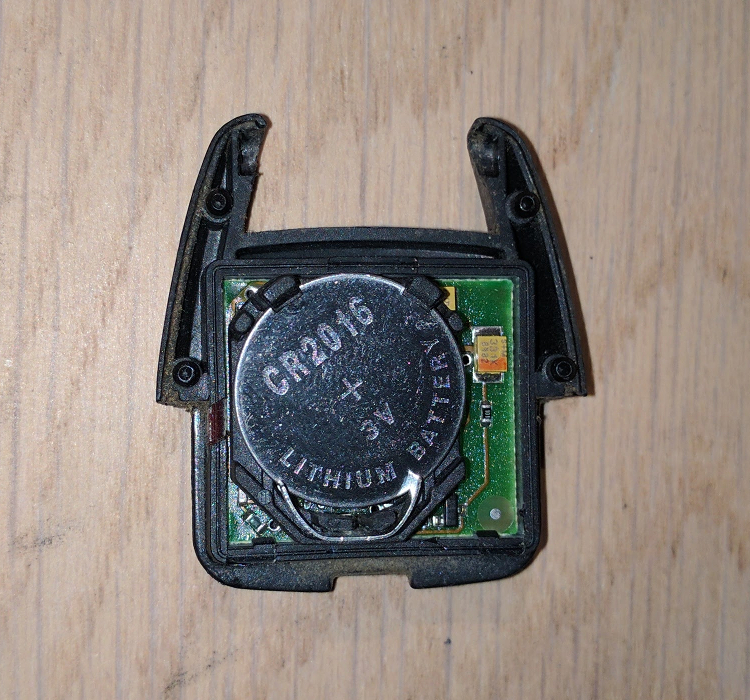 It is the contact which is hidden away under the battery holder. I took the microscope and here you can see what is wrong. the rectangular area is an SMD like surface which should make contact with the PCB. The circular area is a thru hole pin which does not go completely through the PCB. The pin is too short for that, or the PCB is too thick 😉 I cleaned the contact areas and put an amount of lead-free solder. This is only possible when you can control your soldering iron to the correct temperature. It is advised to use flux to let the solder flow properly. Place the solder on the battery holder and the PCB, this makes it easier to fuse the parts together. When soldering it is difficult to add solder to it because the space available is really small. The battery holder is placed back again and the housing can be closed again. YES, it works again and this time it does it every time. In the old situation it kind of worked most of the times, but not always. Probably the key needs to be learned into the car’s ECU for it to work again. 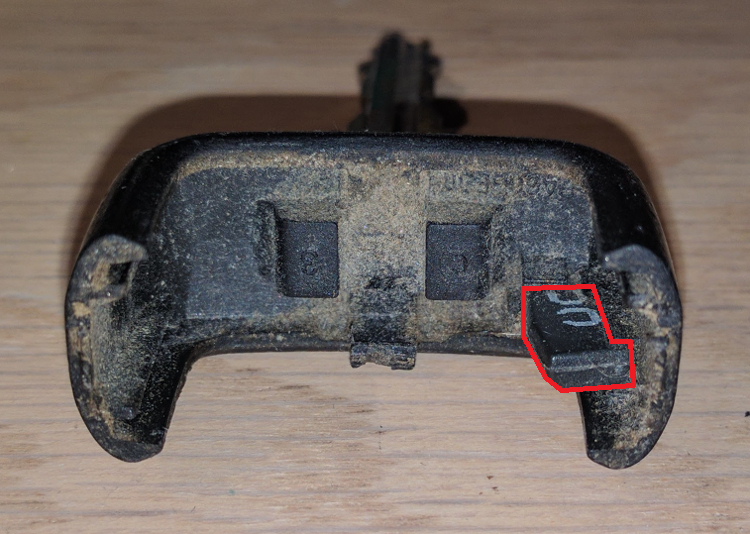 This was the first key which was not working for this specific car. Now I need to exchange keys and solder the other one as well. It has exactly the same problem. 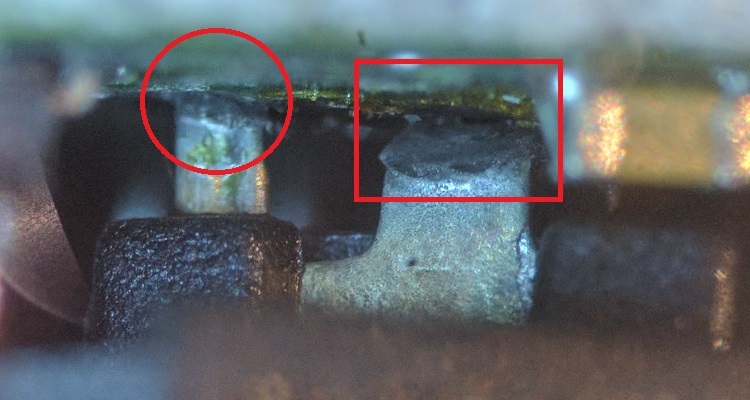 I am not sure if the structural failure is caused by mechanical stress of the lack of enough solder . .. When you want to increase the range of the key, you can put 2 x CR2016 instead of 1 x CR2032. This will put 6 volts on the device instead of 3 volts. This is at your own risk because the controller might give up under the increased voltage.